TimesPoints is a site where you can get Free PayTM Vouchers, Flipkart and Amazon Vouchers by just collecting points by doing some minimal works. Like reading the posts or watching the videos on the platforms. Later you'll get some points to redeem into vouchers. It's a unique way to promote their site. TimesPoints is a unique reward program well integrated with Times Network properties - like Times of India, Navbharat Times, Maharashtra Times, NewsPoint, HDFC-TimesPoint Debit Card and many others - we make sure that you get rewarded for every moment that you spend with us. Based on your engagement, TimesPoints gives you 'points' in your wallet that can be traded in to get benefits like deals, gifts, and discounts. Reading articles, watching videos and photos, likes, comments, and shares - they all get you one step closer to these benefits! How To Get PayTM Flight Vouchers From TimesPoint? 5. Its 50 Points Needed to Redeem The PayTM Voucher. 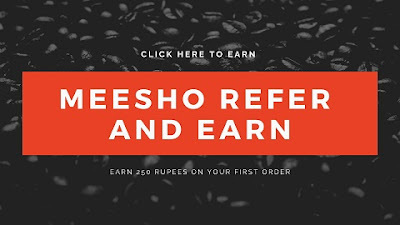 You Can Earn More Points For Vouchers Like Flipkart & Amazon – Just Click On “Earn” Tab & Clicks On Banner Of Times Of India Or Any Other News Website. 7- Redeem 50 Points for the vouchers. So this was the offer about how you can get PayTM, Amazon & Flipkart Vouchers from the TimesPoint Site. Just complete your Profile and Get points to Redeem the vouchers. You can earn points by clicking on the Earn Button to get more points to redeem more vouchers.